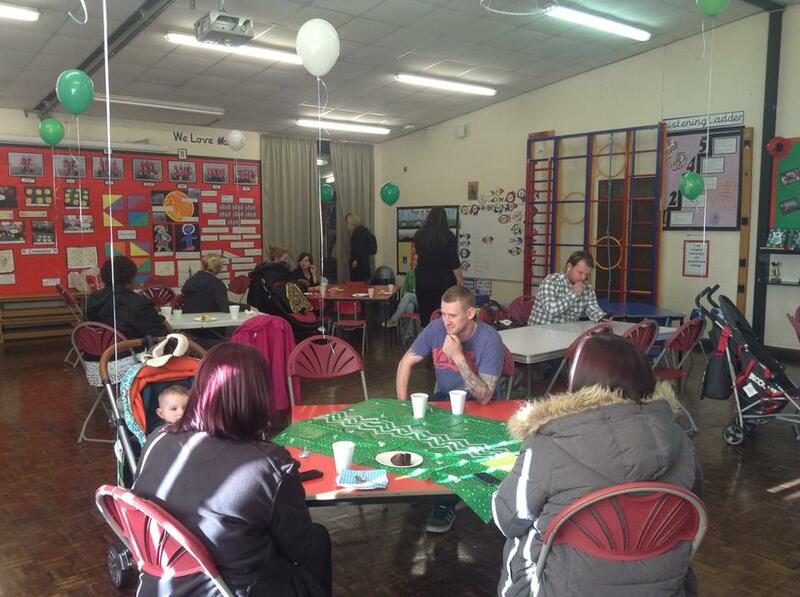 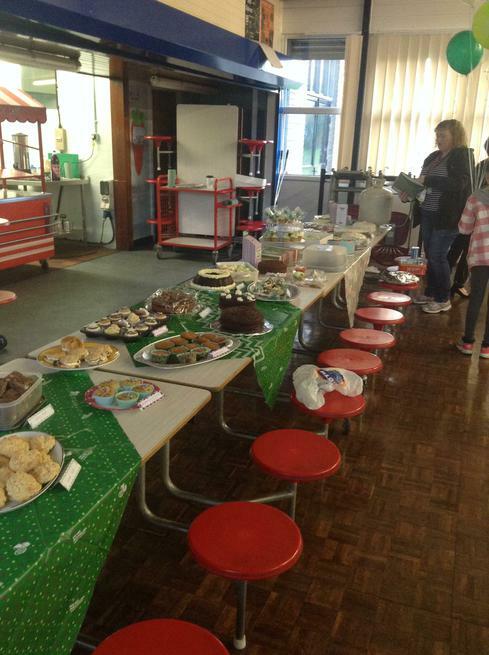 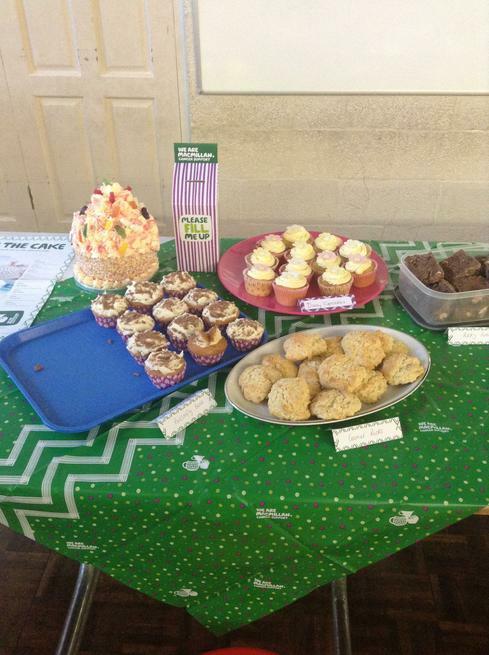 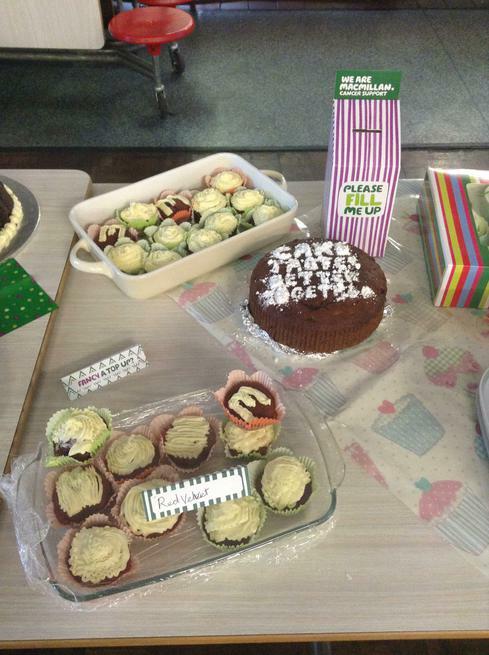 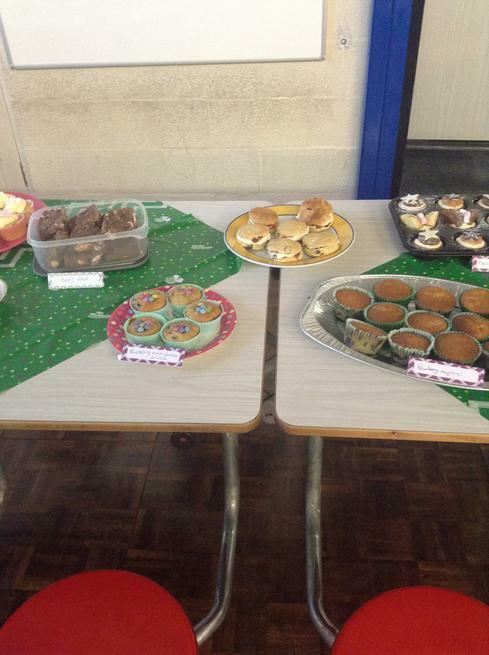 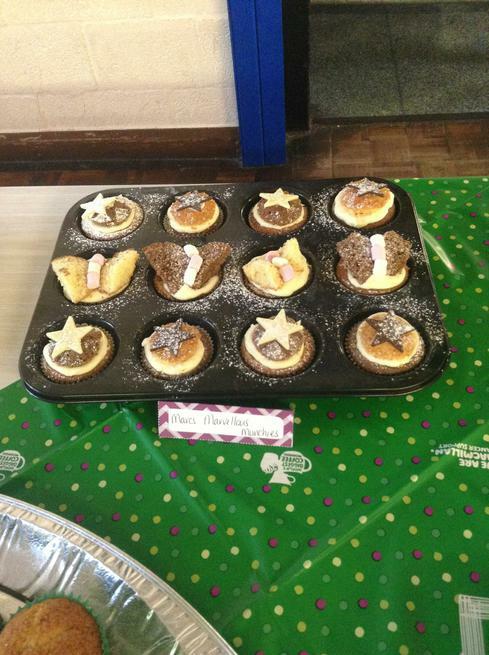 On Friday 25th September school held a coffee morning to support Macmillan. 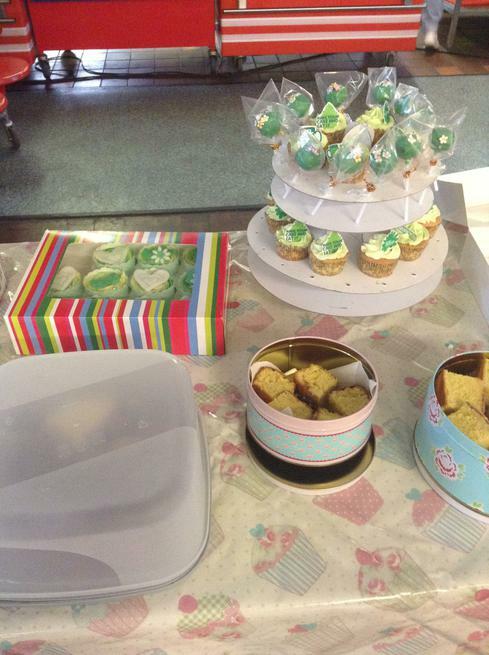 The staff had decided to participate in a staff 'bake-off' and all brought in their freshly baked cake delights- of which there were some wonderful creations it has to be said. 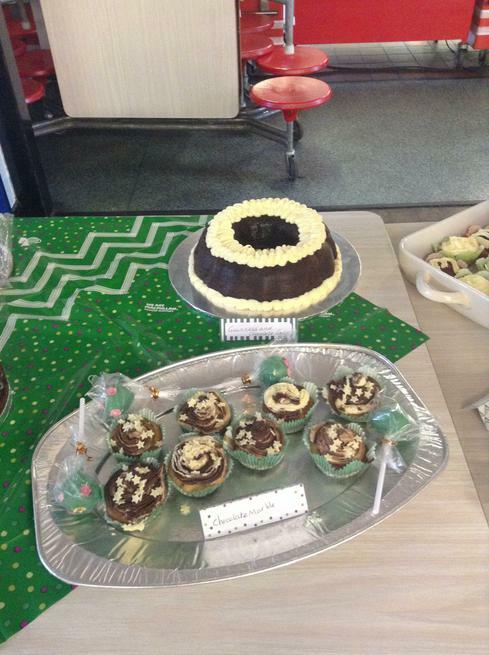 Even Mr. Moakes had a go at baking for the first time ever and brought in his peanut butter cake creation! 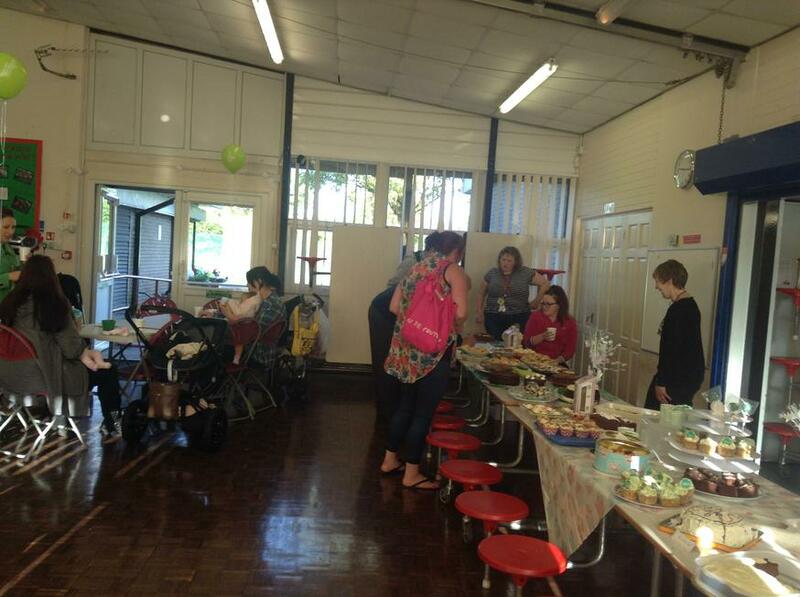 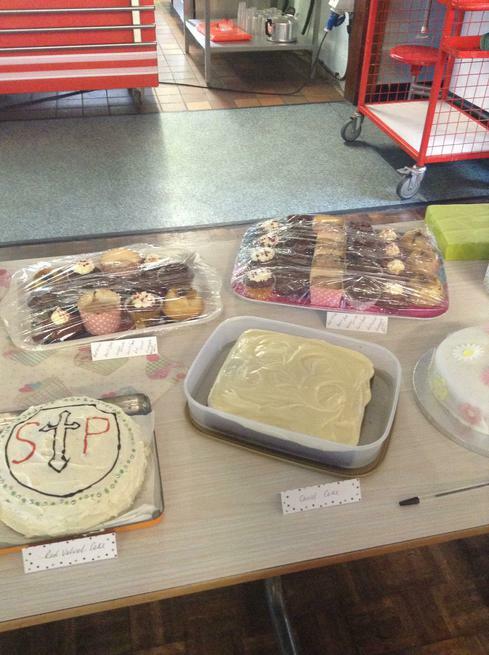 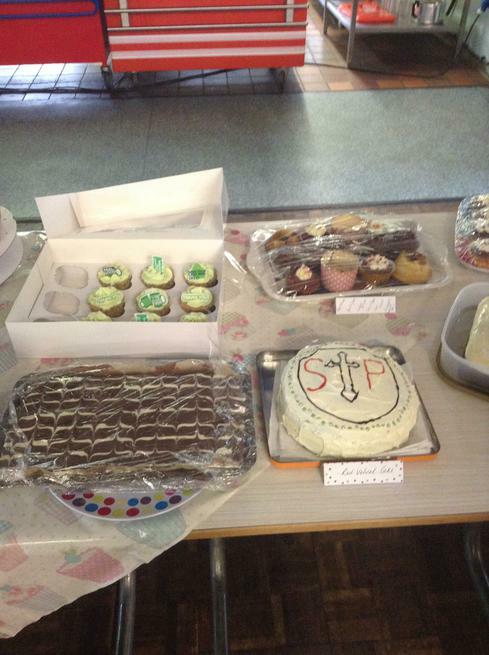 Parents/ carers and other adults joined the staff in the hall to sample the vast array of baking. 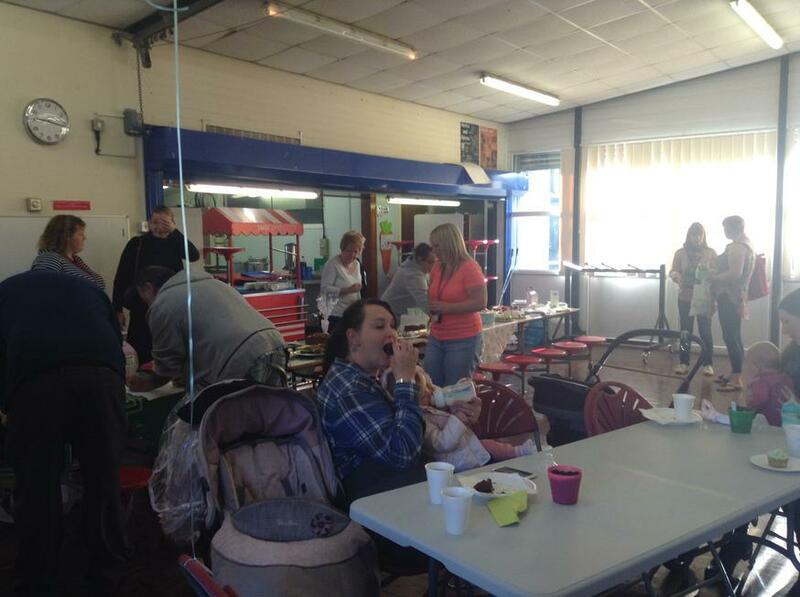 Lol had set up a plant sale outside as a little extra stall and everybody had a lovely time. 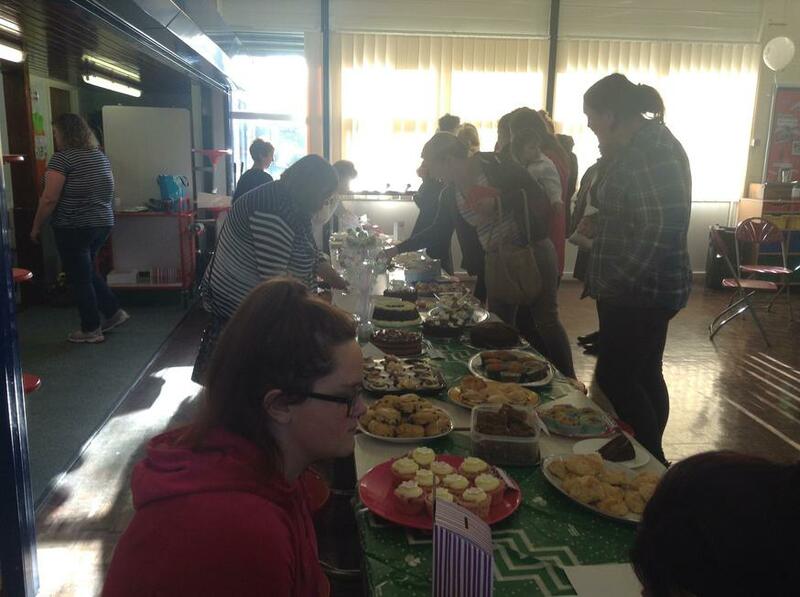 A massive thank you to all the staff who not only gave up their own time and energy to bake their cakes but who also roped in many family members to do the same. 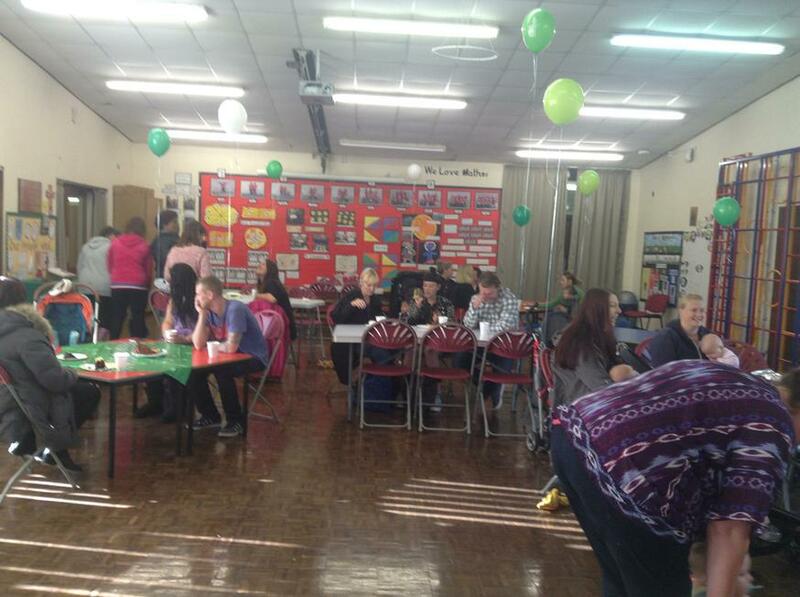 We extend this thank you to everybody who came along to share the coffee morning and help us to raise some money for Macmillan in the process. 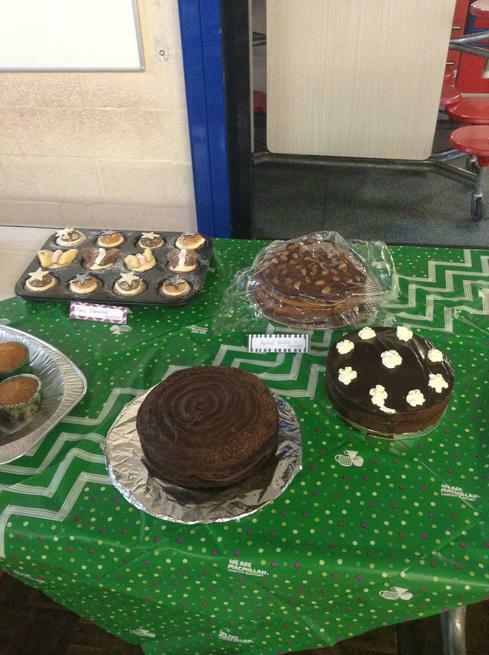 Mrs Hattersley deservedly won the prize for the best cake with her wonderfully delicious Guiness and chocolate entry.